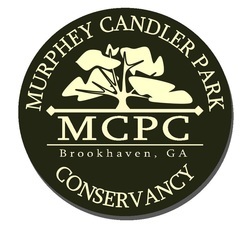 The Murphey Candler Park Conversancy (MCPC) was formed by a group of concerned and like-minded neighbors, working with local government and the surrounding community, to help preserve and improve Murphey Candler Park. MCPC was incorporated in June 2012 as a nonprofit organization and has 501(c)(3) status. MCPC is an all-volunteer organization, which means that your financial support goes directly toward helping us improve the Park. With input from stakeholders/residents, our mission is to establish Murphey Candler Park as a pre-eminent park in Brookhaven and metro Atlanta by enhancing and preserving this vital urban green space for the benefit of the surrounding neighborhoods and the region. The Murphey Candler Park Conservancy was formed in 2012 primarily through the efforts of Shane Day Boyer and Karen Whitehead. Both Shane and Karen have helped lead the Friends of Murphey Candler Park, which was started in 2005 in association with Park Pride. As Friends of Murphey Candler Park gained traction -- both through additional volunteer interest and as a voice for the Park -- it became clear that a more robust format for organizing efforts to enhance and maintain the Park was needed. MCPC is modeled after other successful local endeavors such as the Chastain Park Conservancy and the Piedmont Park Conservancy. The MCPC Board has chosen priorities to champion for the next 5-8 years through planning, support, expenditure of capital and organizing volunteer activities. Although other important issues that warrant funding may arise, our capital campaign will primarily focus on raising money to support, enhance and expand City initiatives based on community input. A Master Plan is a document that sets forth a long-term vision and design-element guidelines for the Park -- from new architectural features throughout the Park, to a strategy to help maintain water quality in our lake, to implementation of consistent usage and maintenance of smaller elements such as grills in the picnic pavilions. Prepared by a professional firm, a Master Plan is developed via a comprehensive process that determines community goals and aspirations in terms of the Park's development.